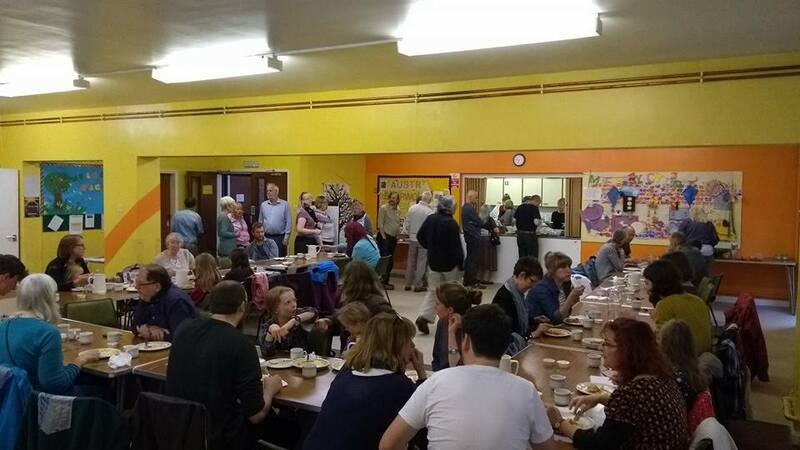 It does this by creating a monthly community cafe social eating space for everyone to enjoy a delicious meal made from surplus food from supermarkets, donated by charity Fareshare. This meal runs on the 2nd Sunday of the month at Sherwood Methodist Church in Nottingham. The meal is cooked by local volunteers. The meals cost a minimum donation of £2.50 adults, £1.50 kids. Profits made will go towards Nottingham foodbanks.